We provide a flexible range of technical, design engineering, support services. We can assist at any stage of the design process. Reliance provides a flexible range of technical services to support our customers during new product design and design iteration programmes. Our expertise lies in the development and production of intricate, electro-mechanical and high-vacuum sub-assemblies. Design Support Services can also be integrated with our Manufacturing and Assembly Services. Re-design projects to enhance a product’s functionality, reduce costs, or resolve performance issues. Our approach is collaborative; to enable our customers to retain their IPR, to stay in control, and to work with our design team on a basis to suit them. Our objective is to work as an extension to our customers’ engineering teams, whether this is as part of a joint design project or working independently, against a requirement specification. Should Reliance lead the design, we operate a flexible, robust design process, in accordance with ISO9001, which provides control and visibility, allowing our customers to take part in the design review and approval process. In addition, we offer design support advice for customers considering use of our range of standard catalogue components and assemblies, and the option to modify standard products to suit a particular customer application. We offer our design service to support mature products as well as new product concepts. At maturity, when production volumes begin to decrease, undertaking a re-design programme may help achieve critical cost reduction targets, alternatively, designing in a new feature to enhance the product may increase sales and extend the life of the product. We work to support our customers’ own designs, typically where the customer retains the IPR. We are able to undertake either a standalone design project, against a requirement specification, or, to work as part of a joint design team. This may be in response to our customers having identified a requirement and triggering the design project, or where we have been part of the manufacture or assembly process over a period of time and have made a design proposal to them, e.g. having identified an opportunity to reduce costs, improve performance or serviceability. Design for manufacture (DFM) is increasingly recognised by our customers as an important factor in reducing a product’s through-life cost. DFM activity can reduce cost by: mitigating risk, improving yield rates, reducing part count, easing the assembly process and reducing build time, improving overall produce-ability, reducing material and treatment costs, and improving our customers’ ability to inspect, prior to use. Our design experience has been gained from direct engagement with customer applications, which means we have a thorough understanding of the practical implications of design decisions on manufacturability, and are in a unique position to help achieve the optimum solution. Reliance offers a complete front end service for precision mechanical engineering design, from customers’ concepts and specifications. We also help develop concepts and carry out feasibility studies as necessary, depending on the nature of the design. Whatever the preferred approach, we collaborate closely with all our customers and include them in the design review process to achieve the best quality product with the fewest design iterations, allowing products to be brought to market quickly and cost effectively. This approach also means that we are very happy to support customers’ own design programmes where they want to keep design ownership in house, but need support in a specific area such as gear or quadrupole design. Reliance offers a flexible design support service to aid engineers responsible for both new and mature products. Our aim is to provide the designer with relevant data to help them make design decisions confidently and to be assured of the performance they can expect of their product. Typically, we work as part of the customer’s design team to help integrate design analysis and validation activities as a core part of a new product design programme, incorporating both the development and manufacturing stages. We can also work as independent analysts, for example to investigate a performance problem. Customers can specify how they would like to engage with Reliance to best complement their own in-house skills and capacity. Design analysis at the end of a design project to assess options for future design iterations. Conclusions and recommendations are discussed at a joint design review with the customer and might include immediate design improvements necessary to meet the essential performance criteria of the specification, design for manufacturing considerations for ease of manufacture and quality/cost improvements, or design options for later revisions of the product. Reliance’s design and manufacturing activity, across all our markets, serves customers who make complex performance-critical equipment. All such equipment manufacturers recognise the commercial cost implications of validating the quality and performance of their products. The consequences to the business of poor performance can be significant in terms of failure to meet launch dates, having to repeat the mandatory design approval process with an industry body or third party qualification centre, or even product withdrawal. 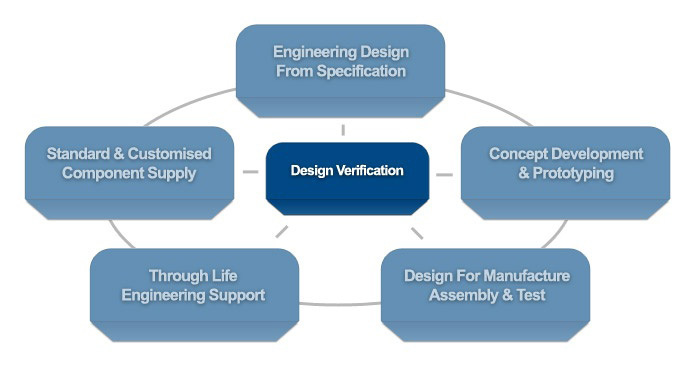 Our approach is to integrate design analysis and verification throughout the design process. This allows us to provide the customer’s design team with evidence of the quality/performance of the sub-systems we have designed and manufactured for them. Professionally qualified design and development engineers from a variety of disciplines. Our main areas of engineering expertise are diverse but focus on precision instrumentation applications. With a technology platform approach we are able to offer a unique combination of design assurance together with the flexibility to tailor it to meet each customer’s own application. Our design engineers have first-hand experience of bringing designs into production. Reliance have continually invested in a suite of facilities for product development. The project is launched into production with the help of the New Project Introduction (NPI) team. Over many years Reliance has worked with a variety of customers in diverse markets. 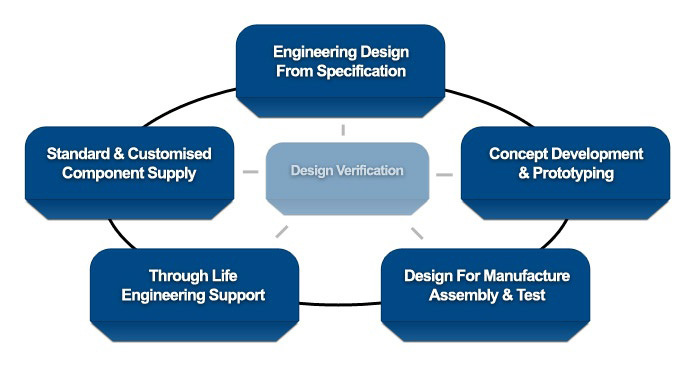 Our validation test capabilities, which allow us to test, develop and prove designs. BAE Systems had embarked upon a highly complex project to design an aerospace mechanism of unprecedented capability. They were looking for a suitable design and manufacturing company to assist with the industrialisation of the design concept and Reliance was recommended to the project leader at BAE. An American company with an established, market-leading product line, used Reliance’s design and prototyping capabilities to prove the sales viability of a new feature to enhance the product’s performance. Reliance’s responsiveness and flexibility in design approach provided an effective technical partner for the implementation of its product development strategy. A US company, starting a concept design programme for cost reduction, used Reliance’s technical design capabilities to help verify its ideas for innovation. Reliance’s additional capabilities in manufacturing and test provided working prototypes, tested to specification, with detailed performance data to demonstrate the in-service resilience of the design. Steeper Group, leading provider of innovative prosthetic technology products, embarked on a new product development programme. They faced the challenge of producing a commercially competitive product with the necessary functionality to enable amputees to regain normality, independence and control. The company sought the help of Reliance to provide catalogue parts for the development of their new bebionic hand.